A few weeks back, I came across the StandOut Android library from my Google+ stream that helps developers in implementing the floating app (something like the Pop up play in Samsung Galaxy S3). It looks interesting at first, but not so much after playing around with it from the user perspective. Floating apps are fun, and the implementation does open up some new possibilities in app design and it does show that true multitasking (not to confuse with the recent app switching function) is possible in Android. Another thing that is really worrying is the inconsistency of UX introduced by these floating apps, even if they are running on the bigger screen devices. It can become even worse when you can resize and move them around in an environment that is designed to run a single app at a time. Not to mention the ugliness it can introduce if there isn’t any proper design guideline. I don’t need another Windows. 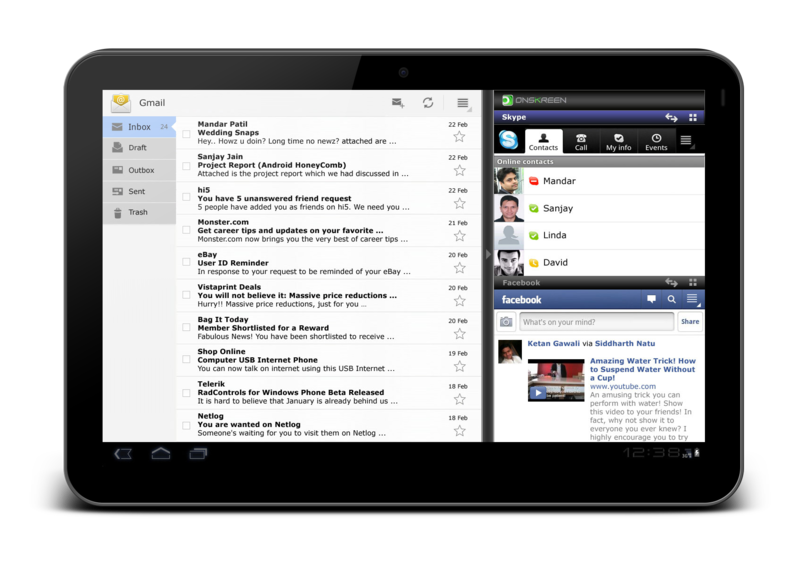 Does it really make you a better multitask-er when you have four or five window floating around on a mobile device? When you need a second parallel running app alongside the current one, most probably you would want to do a cross reference on documents, or chatting with friends while watching football match, or attach a file into an email, which most of them involved only two activities at once. Therefore in my opinion, to do a proper multitasking (on a tablet only, of course), it has to be a system level feature, and it should at most, involved only two activities at a time. 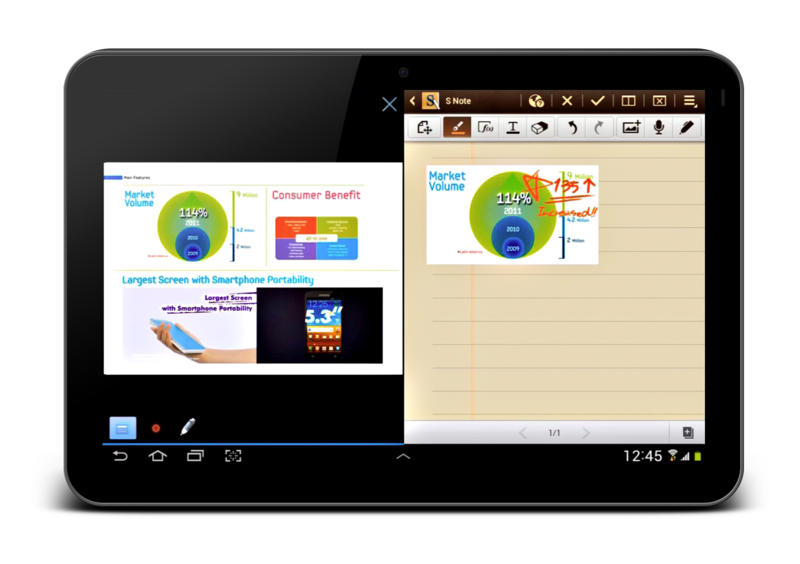 Samsung tablets already have several in-house apps allowing the user to multitask, which they called them Mini Apps. Similar to the pop-up play, I don’t particularly like them – They usually have limited functionality (that’s why they are called Mini Apps) and they are more like a hack rather than a properly designed multitasking feature. Onskreen have some very interesting development here. In their video demonstration, their 3-way Split View seems to be working pretty well. It’s a great indication that Split View Multitasking is definitely possible, although I am less favor in their way of screen splitting. App launcher within split view is a good idea, though I would prefer to make the entire multitasking feature less complex. This is a relatively new feature in Samsung Galaxy Note 10.1. It inherited a lot from their own Mini Apps, but now they decided to make them run in half of the screen, splitting the screen to run two apps in that bigger screen size. However, most likely this feature will only be available in their in-house apps, so not all Android apps are supported natively. Above is my concept for the Split View Multitasking, heavily inspired by both the Snap Multitasking in Windows 8 and Onskreen Cornerstone. It is definitely not a complete idea, so suggestion/critique is always welcomed. The user can initiate the Split View Multitasking by drag-and-drop the app from the app switcher list to the running app (I called it Task Grouping) or just use Add to Split View button, and there will be an indicator to know which app is in the active mode (so the system features like keyboard or Back button will correspond to the correct app). App in the Left View (which is a smaller part) will reset the UI to Phone UI even though it is running on the tablet. App in the Right View (a bigger part) will still be using Tablet UI in Portrait mode. It is designed to have a consistent User Experience. The user knows what to expect from it and it won’t have any content blocking issue like in the floating apps. No resizing option available, therefore all well-designed app should be able to run with intended design during the Split View Multitasking. My concept limits the multitasking to only two activities. Well, no doubt this limitation might be frustrating for some, but considering the processing power that a tablet device have, this might be a better option. Plus, are you really able to multitask when there are more than 2 activities in front of you? 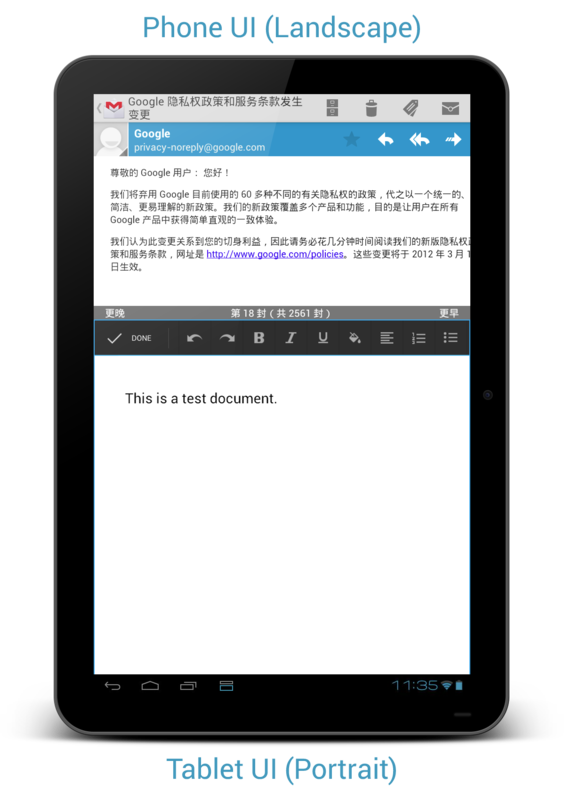 One of the great advantages of Android 4.0+ is the unified platform support, which runs on both phone and tablet with specific UI, and this should be the case for all Android apps. A well-designed universal app should be able to resize based on different situation and run with proper UI (this is also important now with the release of Nexus 7 with TVdpi density), therefore supporting for Split View Multitasking should not be a huge issue. 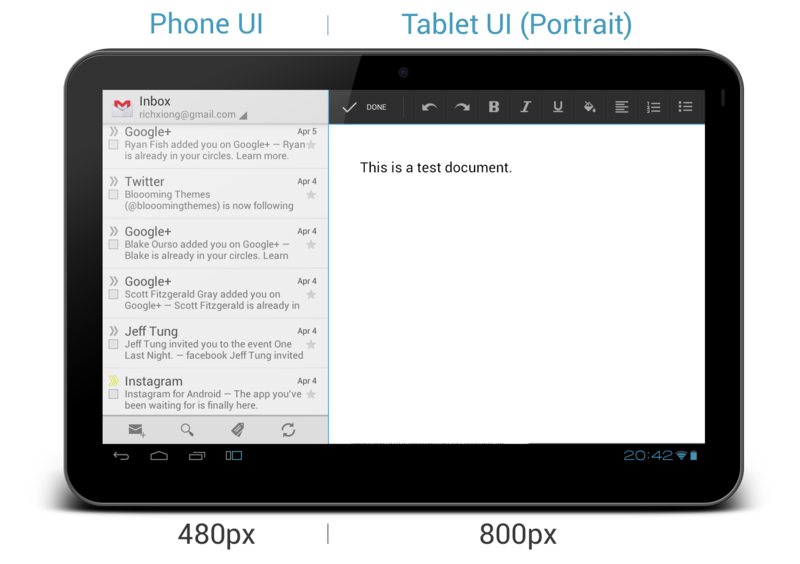 Not all apps are designed to be a universal app which can run on both phone and tablet with responsive UI. 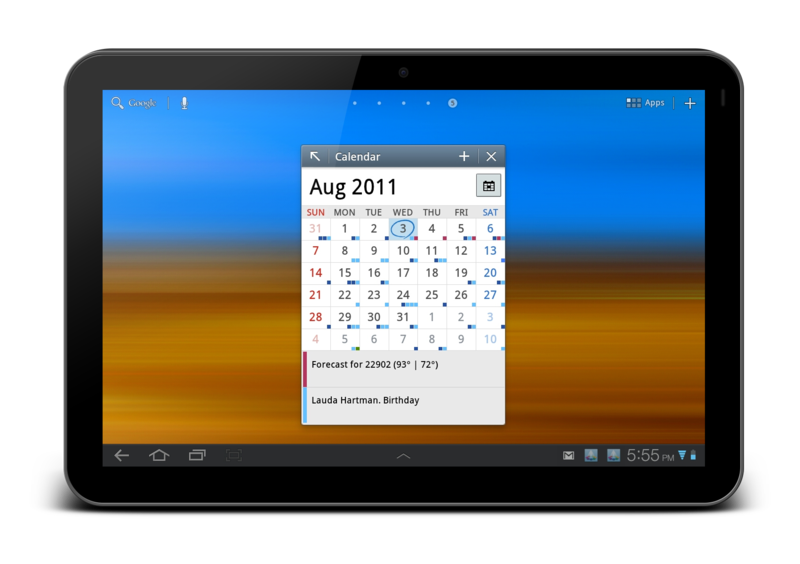 The concept is based on the famous 10.1 tablet resolution of 1280×800 which is 16:10. There are already quite a few number of Android tablet designed with 4:3 resolution, which will not quite fit with the concept above. Discoverability, as always, can be a big challenge for the designer/developer when there is a new UI Pattern/User Interaction, especially in System Level. With the processing power available on mobile devices, a simple multitasking feature is definitely something we should look into – but no, floating apps is definitely not an option. With the Multiscreen feature available on the Samsung Galaxy Note 10.1 and some third-party developments on true multitasking, I hope that these are already sufficient to push for some official multitasking feature in the upcoming version of Android. If you have anything to share regarding this topic, feel free to share and comment! I would like to see something like this. I can imagine a lot of tasks where it would make sense and where I would use it. But I believe it is difficult to get right. I see these problems or ask myself these questions with your solution. For a system wide feature it has to be right at least for _all_ tablets – no matter what screen-size and no matter what aspect-ratio. Also there is the problem with portait mode for the right app of the split-view. With your concept you have to scroll. What if only parts of the UI are already within a scrollview. How to handle this? If both are paired: How to close only one of these two directly from the app-switcher list? Don’t get me wrong. I want this to work and am looking forward to your answers. You’re right, I personally also think that it won’t be an easy task to get it right, but it has to be a start for it. Your questions can be solved by a real flexible and responsive UI system in Android, I think. 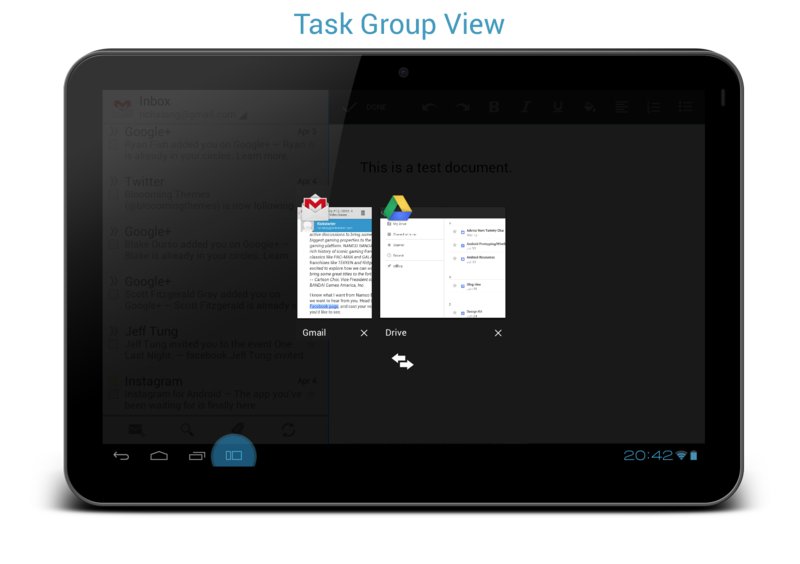 With a fully responsive UI which changes based on size and aspect ratio, the multitasking concept should work on all tablets, and since it is adaptive, the UI will not be an issue I supposed. 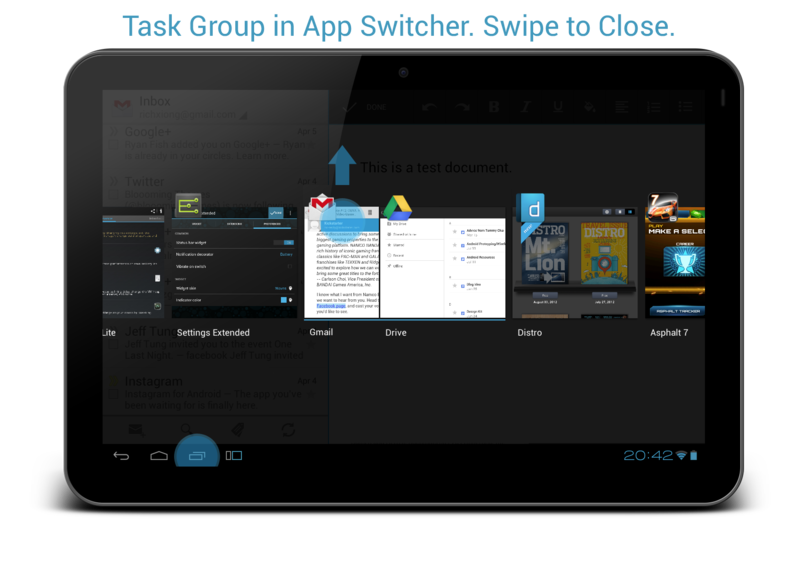 Check out my update of mockups in the post, to close one of the grouped apps, just open app-switcher list, and swipe away! Android apps already (well, should already) account for devices of varying aspect ratios and sizes. Sure, it’s not beautiful, but neither is running phone apps on a tablet screen. That feature though might come in handy here, because so long as those apps are only shown the amount of space the task allots it, it should resize itself to fit, scrollable UI or not (especially because tablet apps have to run in Portrait anyway). The conflict would appear to be if you run two tablet apps (since two phone apps can share the screen 50/50 with both of them looking silly, or the same as Taylor Ling’s setup where one will look right and the other will look silly). In that case, there won’t be enough screen space. This is a brilliant idea. You’re right that it should be limited to just two apps. 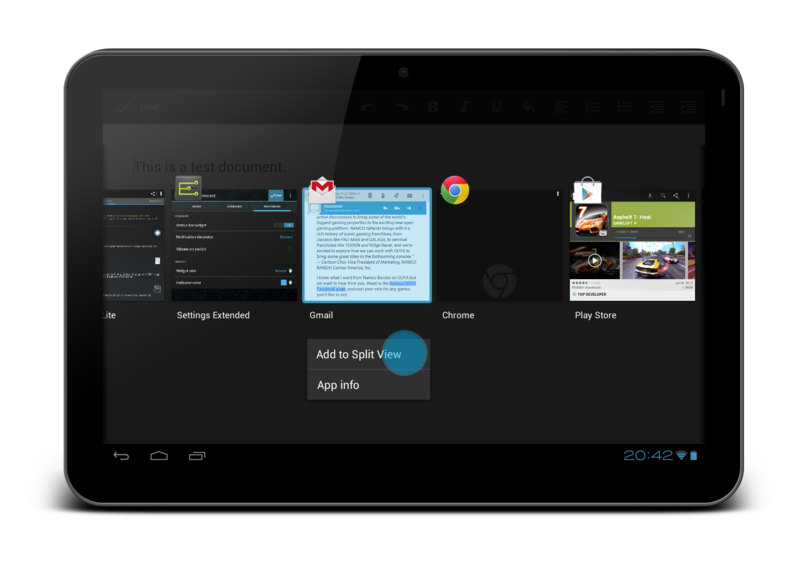 I just got a Nexus 10 and would love to be able to enter information from an email into a web form or management app. 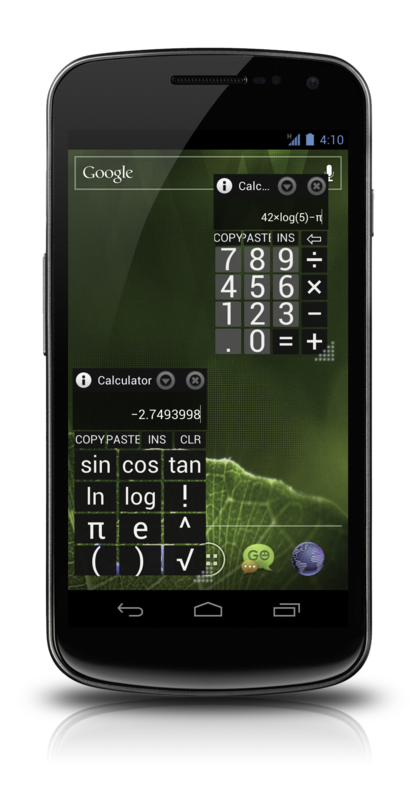 This is the way the Ubuntu Phone deals with Multi-Tasking. I like this approach a lot. Moving windows around on a tablet is a no go for me. Way to cumbersome to use.